Last weekend Carolyn and I spent a few days on the southern Outer Banks of North Carolina, drawn mainly by a pelagic trip scheduled for the 13th. We spent some time landbirding at Pea Island NWR on the mornings of the 12th and 14th. Friday morning (10/12) was moderately birdy following a cool night with a light north breeze. We got out early to check out the morning flight at the north end of the island, which wasn't terribly impressive at the old Coast Guard Station. 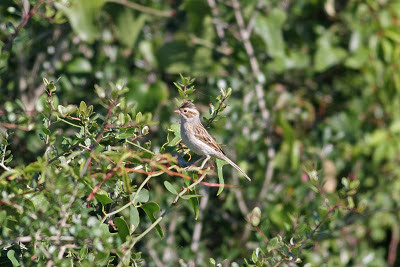 But along the sand road here we had a LARK SPARROW give a few brief distant views. Other than Palms and Yellow-rumps, not much else. 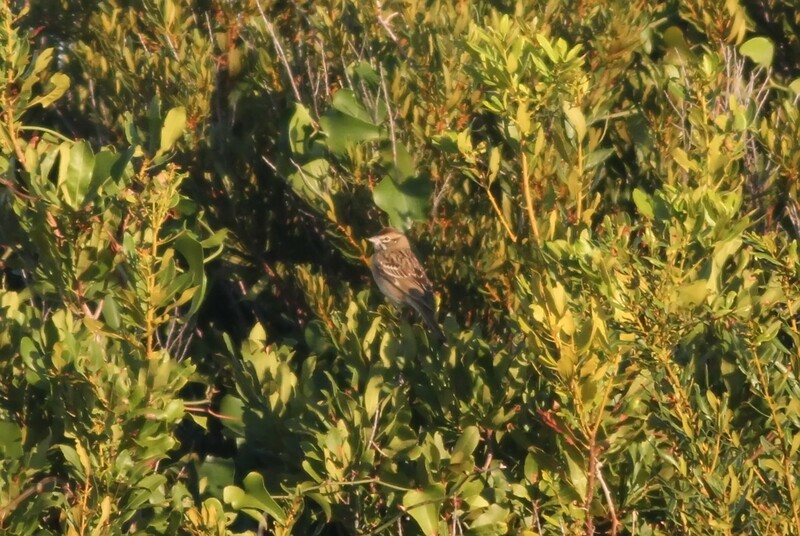 Our next stop was at the impoundment at the north end of the North Pond, which was much birdier and held a nice variety of passerines. I would've liked to have seen what it was like earlier in the morning. Walking down the path we ran into a spiffy CLAY-COLORED SPARROW that was loosely associating with a Chipping Sparrow and a Dark-eyed Junco. While the JUNCO never really showed that well, we could tell that it had a rather convex gray hooded appearance, contrasting with paler flanks and even showing significant contrast with its brown back. I was able to snap some photos for further analysis. 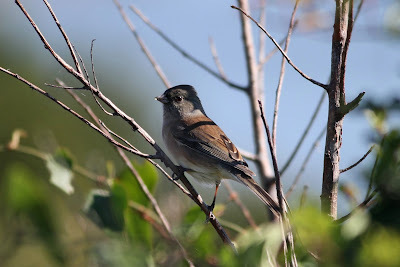 This seems to me to be outside the variation of our typical eastern-breeding "Slate-colored" Junco form, Junco hyemalis hyemalis. 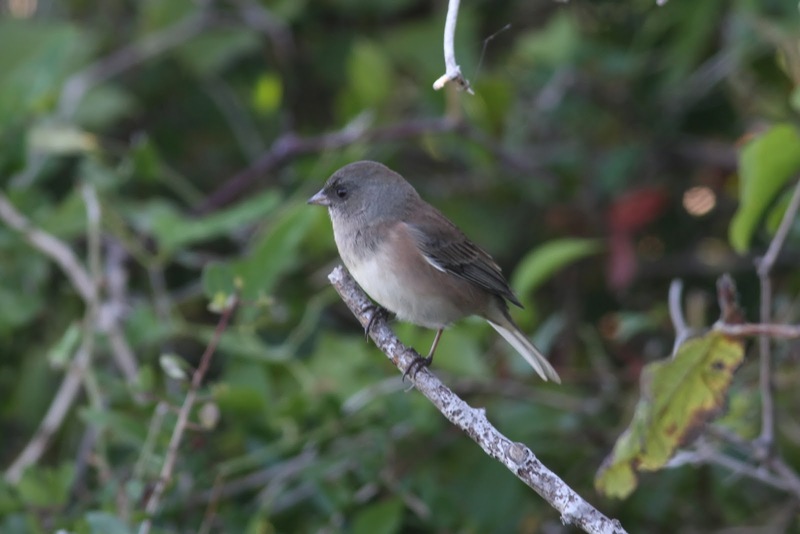 The degree to which the convex hood contrasts with the flanks and much of the back recalls the "Oregon" Junco group (Junco hyemalis oreganus) superficially, but the hood of this bird probably does not contrast enough, nor should "Oregon" show any gray in the flanks. So where does that leave us? 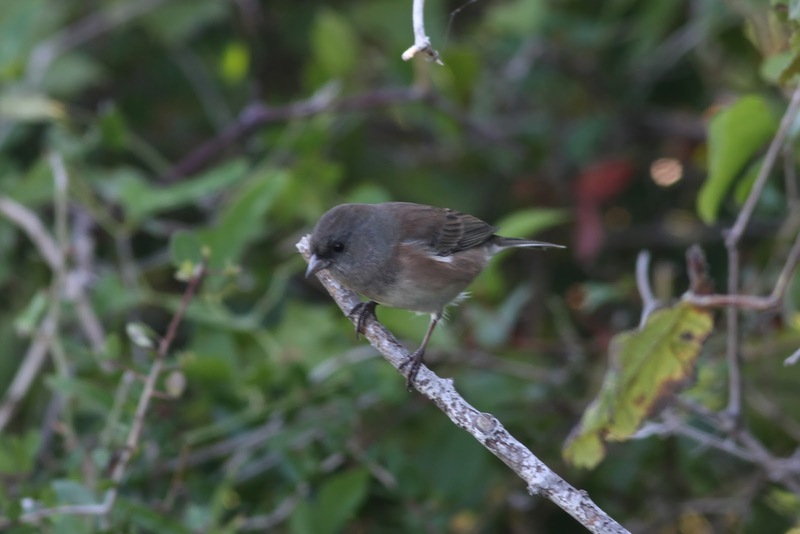 Well, given that the plumage appears intermediate between hyemalis and oreganus, the best fit is the poorly-known (relatively speaking) "Cassiar" Junco (J. h. cismontanus). I could go on with a description of what a "Cassiar" Junco is for those who are not familiar with the beast, but it would be laced with confusing caveats and unknowns. Basically, "Cassiar" Juncos (J. h. cismontanus) show traits intermediate between the "Oregon" Junco group (J. h. oreganus) the easternmost "Slate-colored" taxon (J. h. hyemalis) due to gene flow. Junco taxonomy is incredibly complex and there is much we have yet to learn about the different forms and their relationships to one another. For a fascinating read, set aside an hour of your life and check out this ID-Frontiers thread on the subject, as archived by Angus Wilson on his website. It really is worth the time, and afterwards maybe you'll have an opinion on this bird. 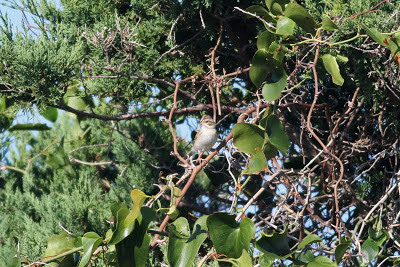 Onto interesting sparrow #2, which was seen on Sunday the 14th, also at the north end of the North Pond. 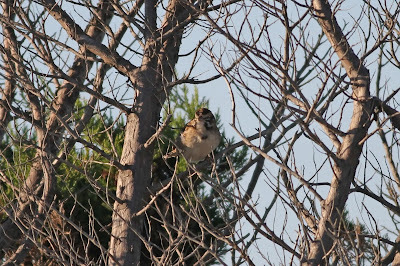 This day was much less birdy, as expected given winds with an easterly component. 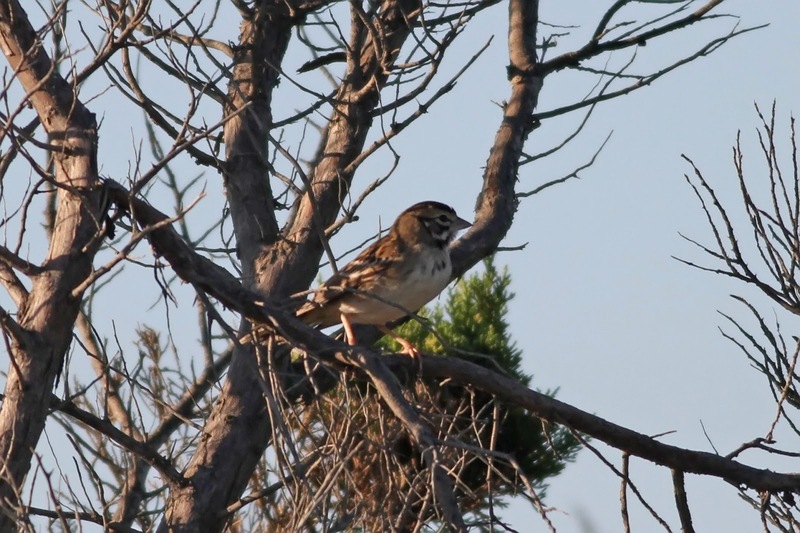 Near the parking area we kicked up this immature WHITE-CROWNED SPARROW. 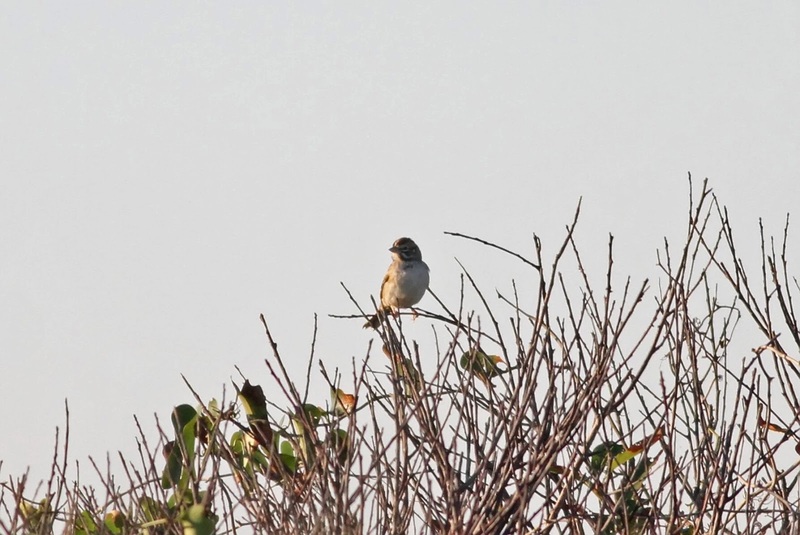 The bird's bright orangey bill and completely unmarked lores were obvious in the field and confirmed via photograph. 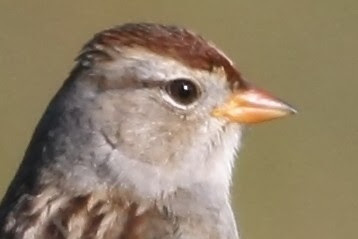 These features are typical of "Gambel's" White-crowned Sparrow, Zonotrichia leucophrys gambelii. 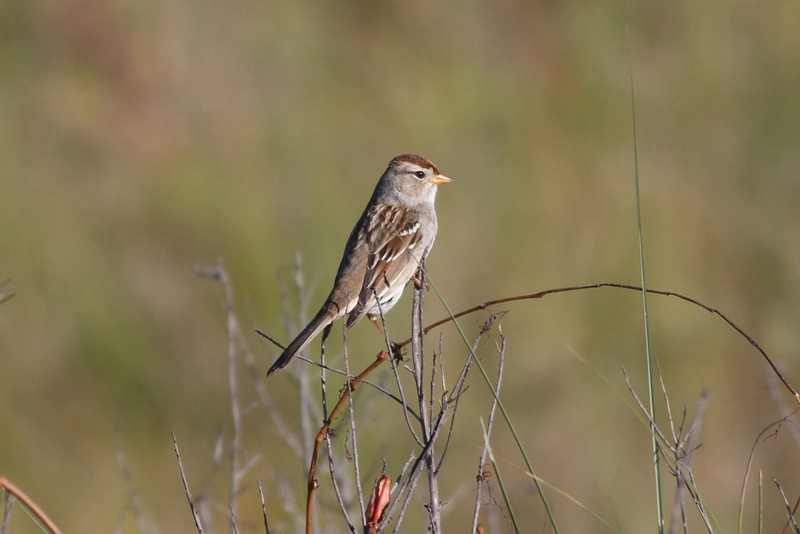 This subspecies nests from west Hudson Bay to Alaska and typically winters west of the Mississippi River. 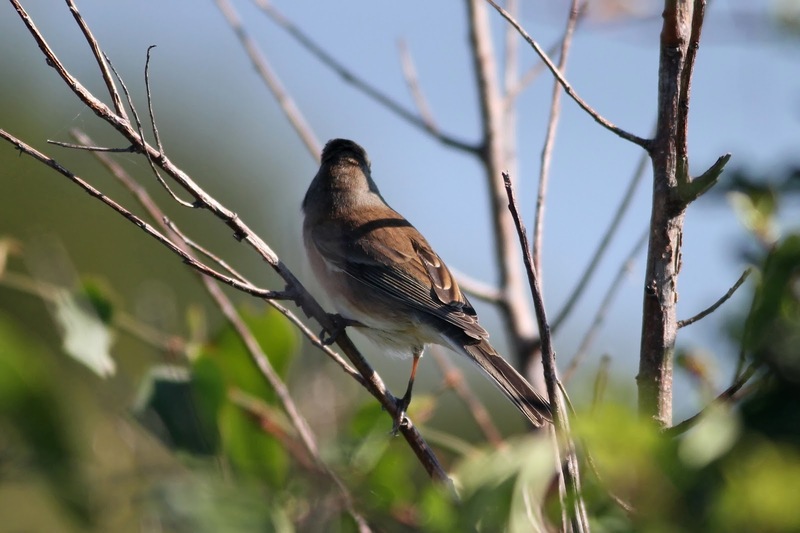 The eastern Canada breeding Zonotrichia leucophrys leucophrys, which is the subspecies expected in the east during migration and winter, is characterized by dark lores and a pink bill. 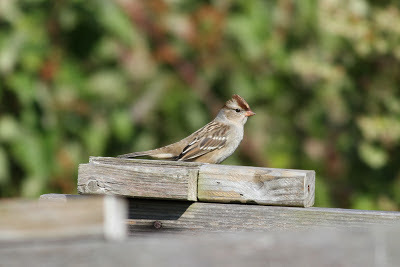 It breeds from east Hudson Bay to the Atlantic coast of Labrador. Here are photos of an immature leucophrys White-crowned Sparrow I photographed earlier this fall in Connecticut. 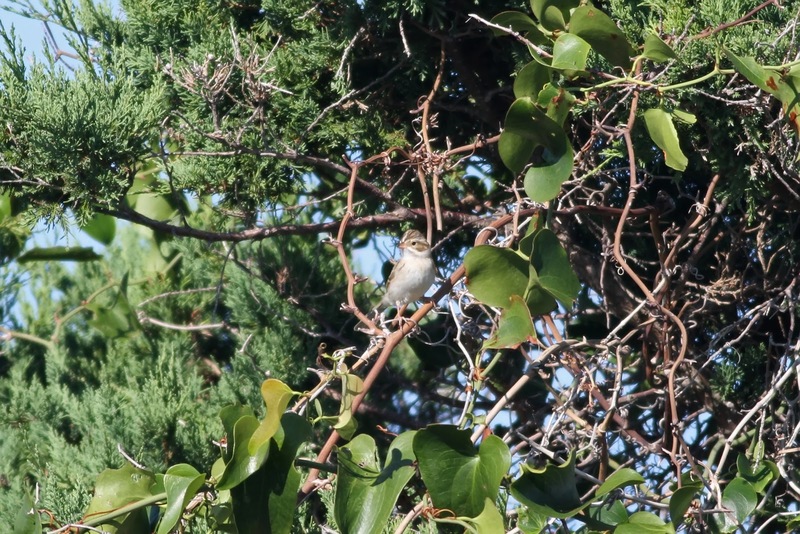 But as David Sibley points out HERE and HERE, there's still plenty we have to learn about how far east Gambel's-like birds breed, and in doing so he casts serious doubt on our ability to separate gambelii from leucophrys. There are apparently intergrades along the southern Hudson Bay (not a surprise at all to me, as such closely related taxa often interbreed where ranges meet), and we just don't know how far east these pale-lored, orange-billed birds reach on the breeding grounds. 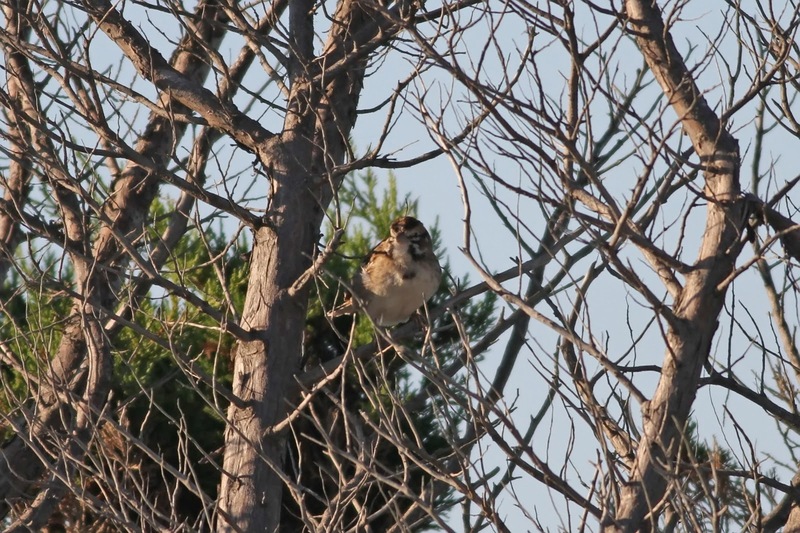 So, while it seems phenotypically like a straightforward "Gambel's" WCSP, and I'm going to enter it into eBird as such for record-keeping purposes (with a caveat in the notes, of course), all we can safely say right now is that it is a "Gambel's-like" White-crowned. Interestingly, these were the only Dark-eyed Junco and White-crowned Sparrow we saw all weekend. When you think about where these two birds may have come from, combined with the Lark and Clay-colored Sparrows pictured below, it felt more like birding in Texas than the Atlantic coast...only much more scenic! Some great and interesting birds.